Halo 4Nov 6, 2012 (US)The next installment of the famous video game shooter. Halo 4 is due for release on November 6th, exclusively on Xbox 360. The Master Chief returns to battle an ancient evil bent on vengeance and annihilation. Shipwrecked on a myster..
Halo 4: Castle Map PackApr 08, 2013Daybreak is set in a military facility against the backdrop of an idyllic mountain range, while Outcast plunges you into the warrens, canyons and arches of an alien edifice, and Perdition takes players into the heart of an urban sprawl, with tactical..
Halo 4: Crimson Map PackDec 10, 2012Witness the chaos of a clash of civilizations in Wreckage, with its blend of claustrophobic spaces and dangerous exposures and venture into the human colony environs of Harvest, and explore a human foray on an alien moon in Shatter. ..
Halo 4: Majestic Map PackFeb 25, 2013Landfall's emphasis is on infantry battles against a glittering ocean on a distant world, while Monolith exposes you to the naked vacuum of space - and the firepower of opposing teams, and Skyline's distinctly industrial feel provides new challenges ..
Halo: Combat Evolved AnniversaryNov 15, 2011Halo: Combat Evolved Anniversary is a remastered version of the classic game that launched the original Halo trilogy, and is now available in celebration of the game's 10th anniversary. 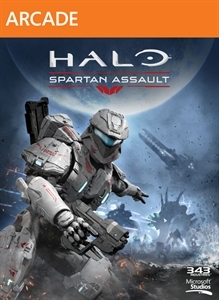 Whether you never played the original, or it's a fondly re..
Halo: Spartan AssaultJanuary 24, 2014Halo: Spartan Assault Launches on Xbox 360 and Xbox One this December via digital download. Set between the events of Halo 3 and Halo 4, Halo: Spartan Assault is a new chapter of the award-winning Halo universe that explores the first missions.. Developed by CyberConnect2, NARUTO SHIPPUDEN: Ultimate Ninja STORM Generations (not yet rated) is the latest rendition in the smash hit ‘NARUTO SHIPPUDEN: Ultimate Ninja Storm’ series of games. The t..